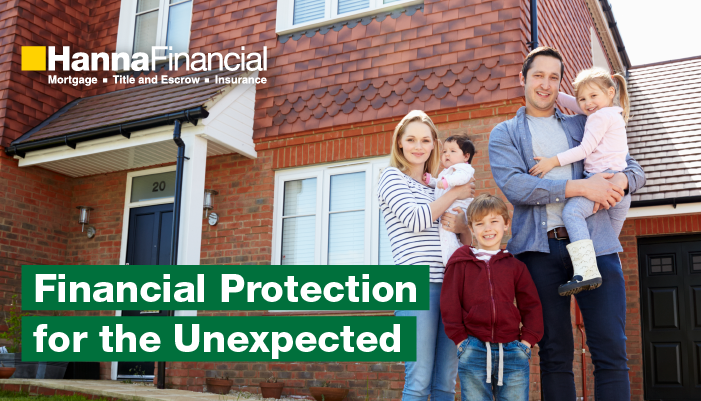 The Financial Protection YOU Need. We understand that the homebuying process is exciting and has many moving parts. The HannaFinancial companies make the closing process simple. By providing services to you, we strive to meet your homebuying needs through the efforts of our dedicated teams. Our expertise and full-service capabilities make your transaction as efficient as possible. HannaFinancial is proud to bring you the Howard Hanna One-Stop Shopping experience. Learn more about our dedicated teams today at howardhanna.com/hannafinancial. Not ONLY is Howard Hanna Home Insurance great BUT the Auto Insurance is, as well. We had a deer run out in front of our car on the highway…a week before Christmas, 2017 (deer lived)…but the damage was $4,500.00 and this is our first car, as a married couple that we invested in (as a goal). Immediately, calling the insurance company at 12:34am, they handled this with ease (we were traveling to another city when this took place) and had left right after work on a Friday night. Hanna Insurance were everything and more, as they completely handled everything, first and foremost …they asked us “are we both ok and did we need any medical help”. We were fine, the car was not. Being out of town it was drivable but secondly they asked, “do you need a vehicle and tow”…and finally saying to us, “don’t worry about a thing we are here for you.” When my husband took the insurance representative off the speaker and the call ended… he said…”Wow, you really work for a great company”… I said, “I know and smiled”. At that VERY moment, it set in stone that what is said about Hanna Insurance is EXACTLY what you get. PEACE OF MIND and everything taken care of, professionally with courteous people….SO THANK YOU for your One Stop Shopping, which includes INSURANCE, because, honestly it works! 🙂 PS: We purchased from Cabela Sports…Deer Whistlers, for the front of the car (inaudible for humans but keeps deer and animals away from your car with a sound wave when it hits 35 mph. – 1/4 mile in front of and beside your car, while driving.) When we build our home you can bet your sweet bippy we will have Hanna Home Insurance!